While the spaghetti and hotdog combination will always be a child's favorite, it's our duty as parents to introduce them to other delicious eats. 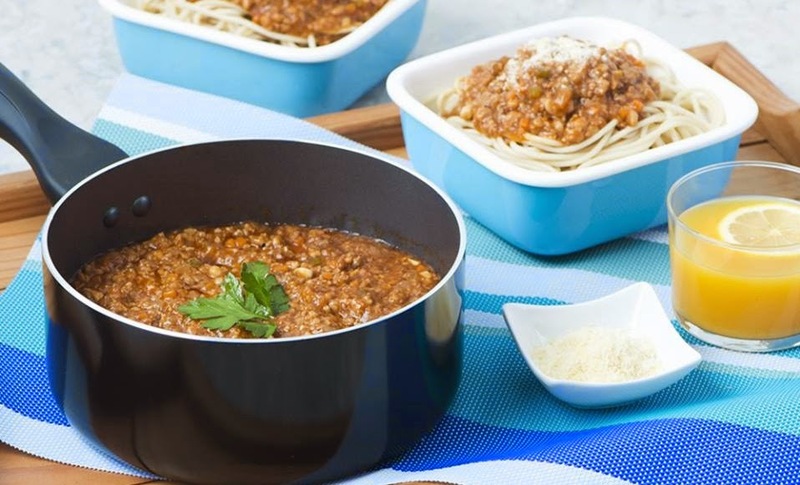 This flavorful bolognese recipe is guaranteed to be a hit at your next kiddie party. Start with a big serving of love to make sure the recipe is yummmmmmmy! 1. Heat your Chef's Classics Daisy Plus sauce pan, and then sauté garlic, carrot, onion, celery and bacon in olive oil. 2. Add the meat, and cook until brown. 3. Mix in the chopped tomatoes and tomato paste. 5. Pour in the stock, and simmer for 30 to 45 minutes. 7. Toss with cooked pasta. 8. Sprinkle parmesan cheese grating and serve.